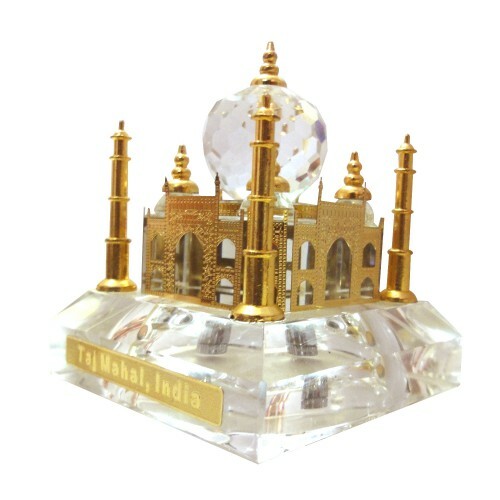 24K GOLD PLATED CRYSTAL ILLUMINATED TAJ MAHAL (FOUR COLOUR BATTERY OPERATED LIGHT)Dimension : L..
Dimension : L-2.8" x W-2.8" x H-3.5"
• This 24K Gold plated, classic miniature of TAJ MAHAL- an epitome of love- is an exclusive way to express ones’ eternal love for someone special. 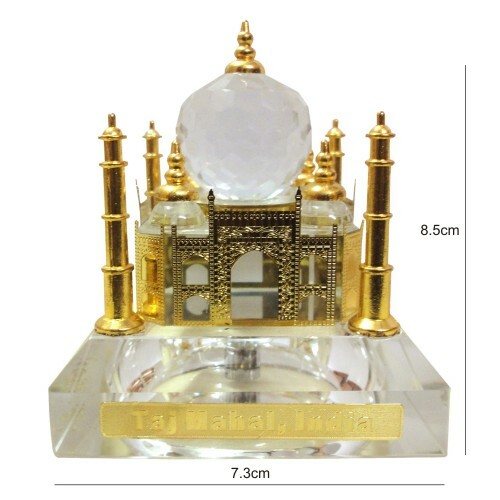 • It is a unique, and majestic masterpiece to gift your loved ones, clients, employees & business associates or to adorn your office/study table or showpiece shelf at home. 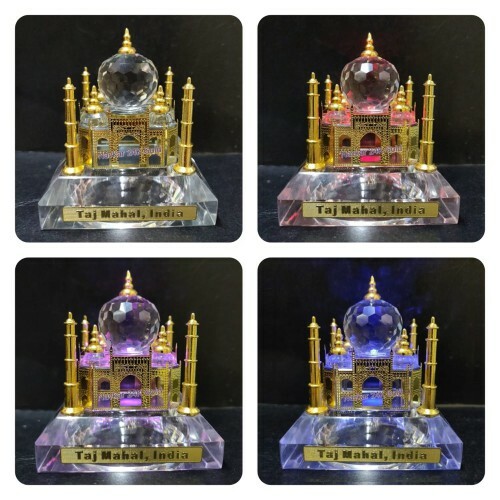 • Its illuminated look due to built-in colour changing battery operated light really makes it spectacular and splendour one. 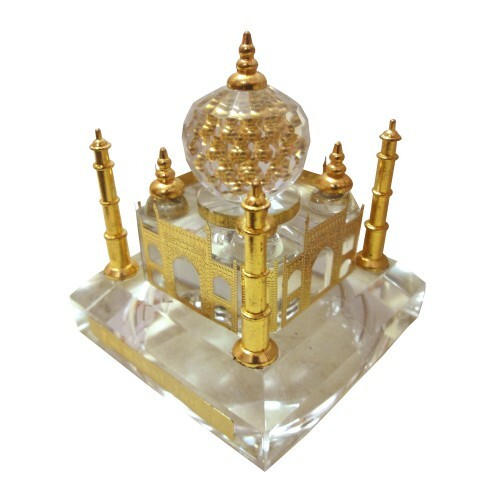 • A priced possession for your collectible collection. • A real royal gift for personal, festive, wedding and corporate gifting…comes in a presentation gift box. 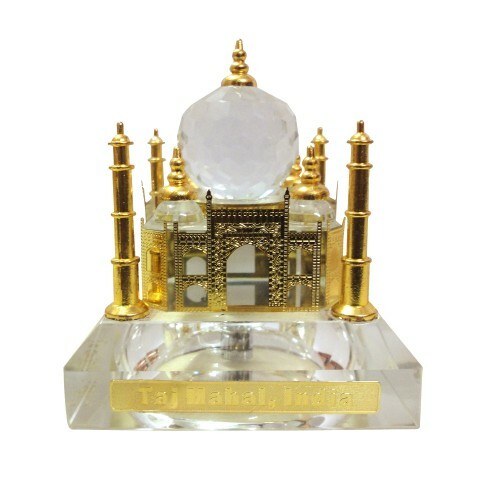 • When you are short of words to express your love, why don`t you say it with this 24k Gold plated Crystal TajMahal.